There is no denying that maintaining a healthy lifestyle is crucial to living a well-balanced, long and happy life. For most, the idea of spending too much on gym memberships or even finding the time in their busy day to get a workout in detracts them from their end goal. After so long, the consequences catch up and it becomes harder to get to your ideal physical and healthy state. By now everybody is aware of the serious life threatening diseases that obesity causes; such as heart attacks, diabetes etc. By implementing cardio into your daily life, burning off the unwanted and unflattering fat becomes easier to uphold. 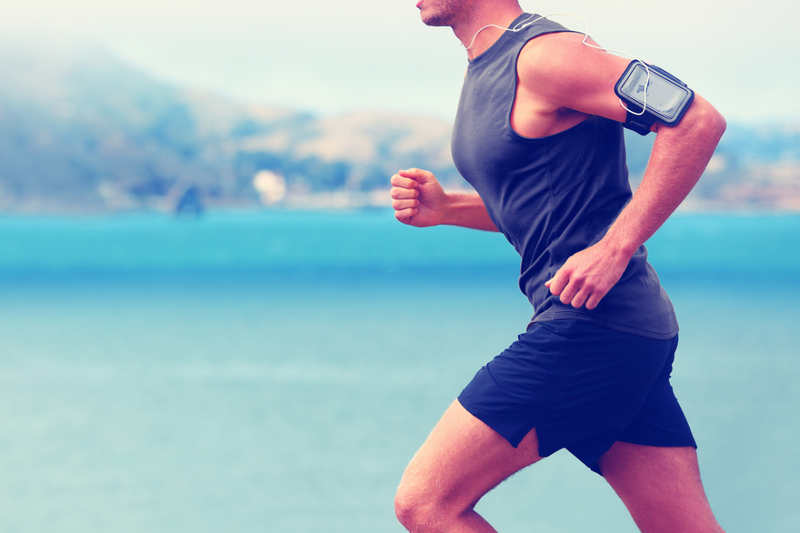 Cardio burns more body fat in a limited period and improves your respiratory system and heart condition. By eradicating the top layers of fat an individual can achieve his or her desired physical physique. Some cardiovascular activities burn more calories than others and speed up fat loss while reshaping the body, and that makes them good choices for people who are serious about losing weight and improving aerobic capacity. Choose a cardio activity and instigate it into your weekly workout to enjoy the abundant health benefits that follow. Looking at the top 5 cardiovascular activities, there is great variety while all maintaining the same purpose of burning major fat and calories. Bicycling allows you to engage large muscles groups which elevates your heart rate and results in a wide amount of health benefits. As opposed to running, there is less physical strain and risk on injury. This makes cycling a much better option than running for those who are overweight or have knee or joint pains that could be harmed from the impact of running. According to NutriStrategy, a leisurely bike ride less than 10 mph will burn more calories than an easy walk of 2 mph—281 calories versus 176 calories per hour. 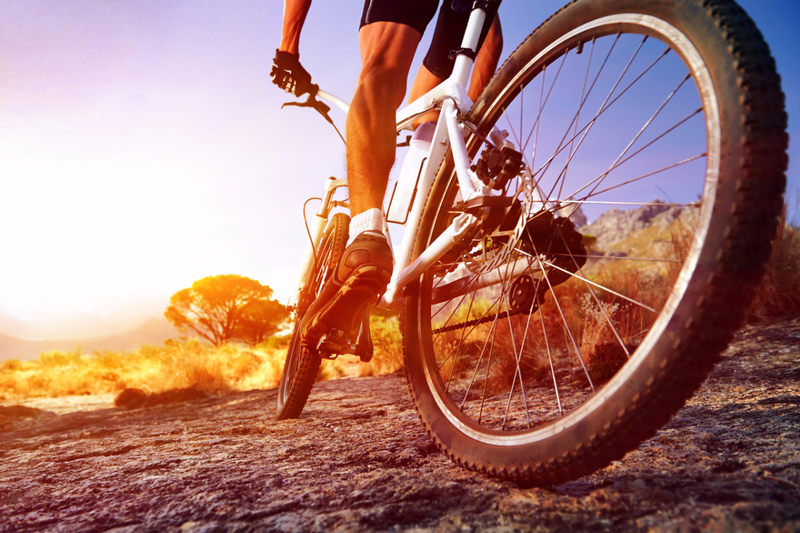 Push yourself to pedal up steep hills and maintain a pace over 10 mph, but even a relaxing pace is an excellent start to supporting an active lifestyle. It will become a workout that you look forward to! Getting outside and pumping your blood faster is a great way to keep a clear and happy mind! Belly dancing and Zumba won’t burn quite as many calories as swimming or power walking, but for sheer fun and novelty this workout can’t be beat. Belly dancing and Zumba have become wildly popular across the nation in the past few years and nearly all gyms offer at least one class for interested parties. You will work your hips, thighs and waistline in a typical class as well as increase your aerobic capacity. And who knows, your dancing skill might come in handy some day! Power walking lives up to its name and requires you to put out a lot more power than a stroll around the block. In power walking, you swing your arms back and forth as you walk briskly – this helps to burn calories as well as propel you through your walk faster. Increasing the speed will boost your calorie burn even higher. An excellent variation for a power walking routine is to add arm movements a few days per week. As you walk briskly, raise your arms overhead and bring back down to the pace of your walk. This can seriously raise your heart rate and increase your fat burn. Power walking at the gym is as easy as hopping on the nearest programmable treadmill and setting off. If you are not sure how to program the treadmill, ask a trainer or knowledgeable friend to show you how. You should choose a walking route that includes inclines and changes to surprise and challenge your muscles. Most treadmills that offer these walking programs talk you through the route so that you aren’t alarmed with the incline increases. Use the same variation from the home power walking and add arm movements to increase heart rate and calorie burn. Swimming should be the king of all workouts for its user-friendly status and low stress on the body. If you fit in three 45-minute swimming workouts every week, you will see major changes in your body in just two to three weeks. Your body becomes buoyant in the water, meaning that it is supported by the water and does not have to depend on the muscles nearly as much. If you just stand still in the pool, your muscles will have very little to do, but when you start swimming at a brisk pace your muscles become involved with pushing your body through the water – not an easy task. 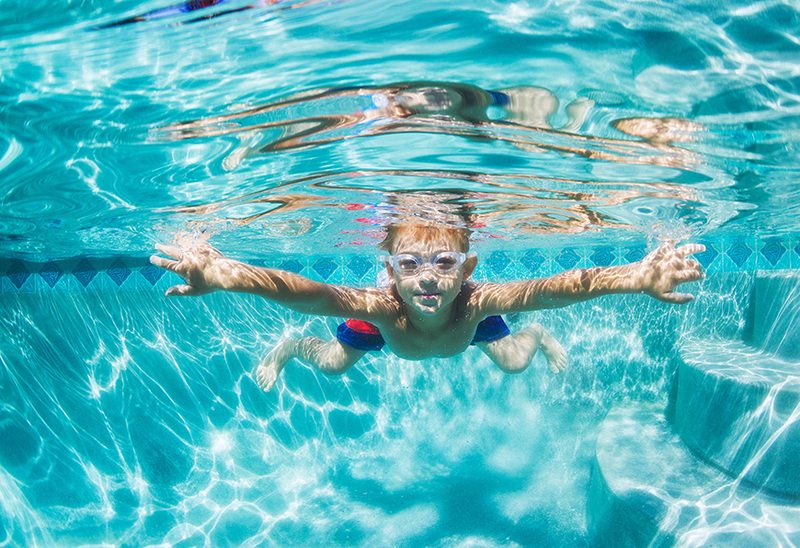 That’s why swimming burns so many calories; the muscles work almost twice as hard as in land workouts and torch up to three times as many calories. Challenge yourself by swimming one lap breaststroke, one lap backstroke, and still another lap butterfly. Freestyle is good but you burn far more calories when you mix it up and challenge the body to respond. Water aerobics offer the same support as swimming but instead of propelling your body from one end of the pool to another you stand in place in the water and use the water’s resistance to build muscle and burn calories. Water aerobics frequently use accessories for strengthening workouts but if you don’t have any, don’t worry! Just go to your pool and perform the same toning exercises that you would do in the gym. Squats, lunges, leg lifts – when done under water, these movements become more challenging and require muscles to work harder, resulting in a higher calorie. The best part is that the support of the water cuts the stress on joints and can help people with arthritis and other joint disorders to get exercise back in their lives. Now that you have some cardio activities to start implementing; begin by setting a workout schedule that fits in with your daily responsibilities. Remember, consistency is key, and even starting off with 10 minutes a day will provide great results until you are able to add more and more. 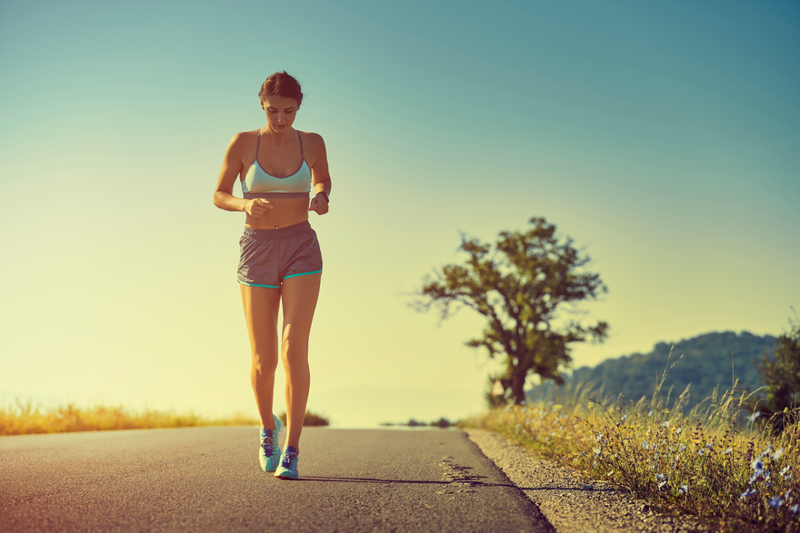 The biggest challenge to overcome when doing cardio exercises is fatigue and overheating. With an increased heart rate and overworking lungs, it can be hard to push through those last few minutes. 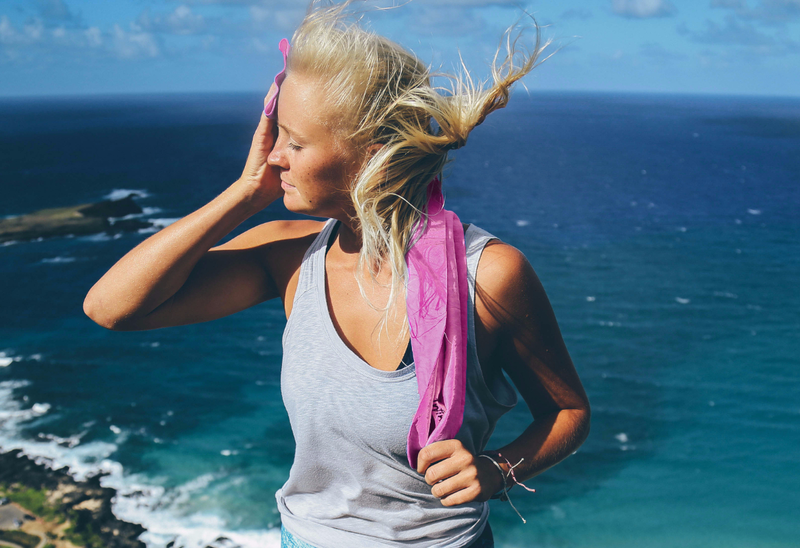 Don't let overheating stand in the way of your fitness goals. Try a Live Infinitely Forever Cool Instant Cooling Towel to help push you through your cardio workouts and achieve the physical physique you're after. Trust me, you'll love it! ?